Cafe Crepe (map, 796 Granville St, Vancouver, BC, Canada, phone: 604-806-0834) is a restaurant that serves freshly made French style crepes, sandwiches, and Foot Long hot dogs. 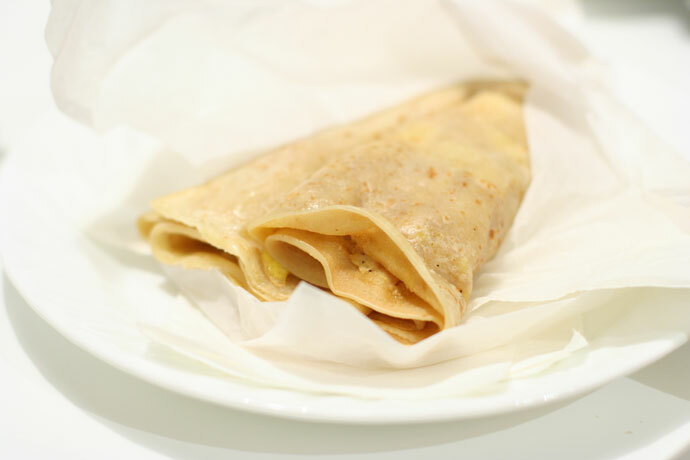 The crepes are made in front of you, by smartly dressed chefs, at round grills at the restaurant’s front window. 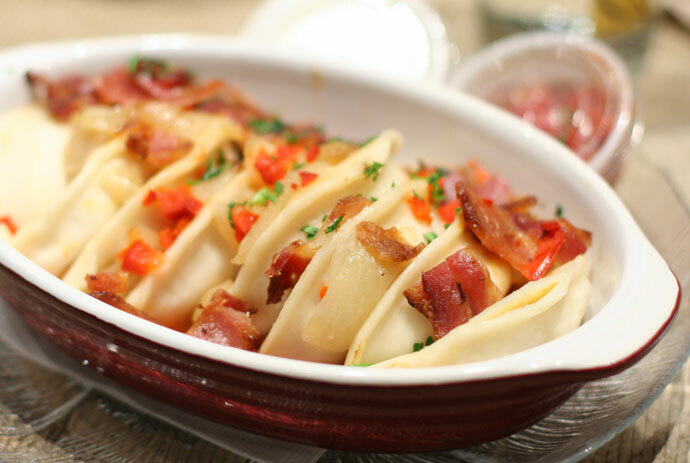 They are made sweet (try chocolate, or apple and cinnamon) or savory (pick from ham, cheese, or a bunch of other ingredients such as mushroom or spinach). 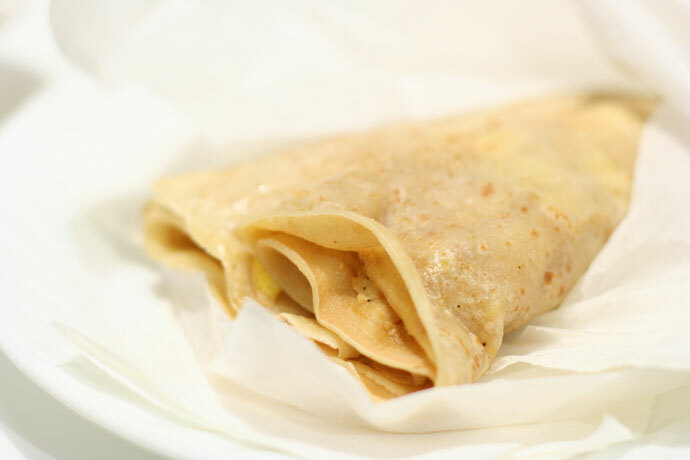 Crepes (such as the ones pictured below) cost in the range of $5 to $8 depending on the ingredients. I really like the rich Emmenthal cheese and spongy crepe batter. 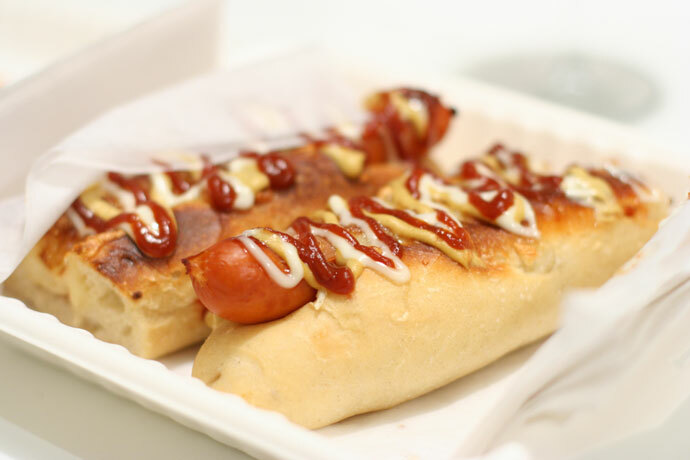 For the Foot Long hot dog (pictured below, around $5) be sure to try their French mustard and maybe even mayo if you’re a fan. 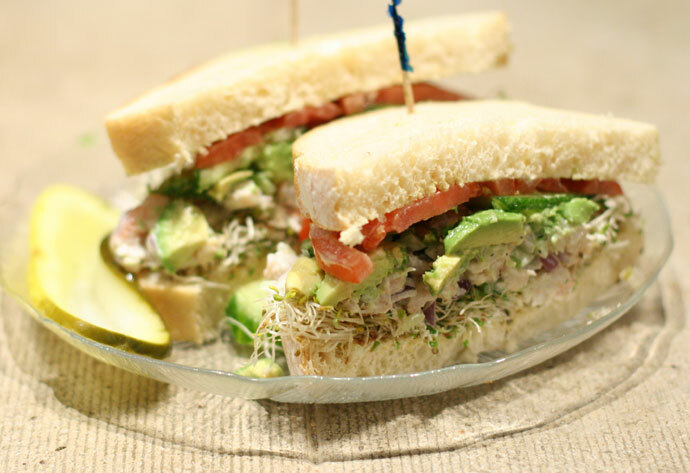 There are two locations of Cafe Crepe very near to each other on Granville Street downtown. The smaller one (796 Granville, Cafe Crepe “express”) is located next to Future Shop just north of Granville and Robson. The larger one, further down Granville near the Commodore Ballroom (map, 874 Granville St, Vancouver, BC, Canada, phone: 604-806-084), has more sit-down tables and even a private room for parties in the back. Sometimes they get pretty busy and there might be a bit of a wait, especially if you want to eat-in. Take out orders are usually quite fast. UBC Campus (map, 103-2151 Wesbrook Mall, Vancouver, BC, Canada, 604-221-1142). Ham and Cheese Crepe from Cafe Crepe in downtown Vancouver, BC, Canada. 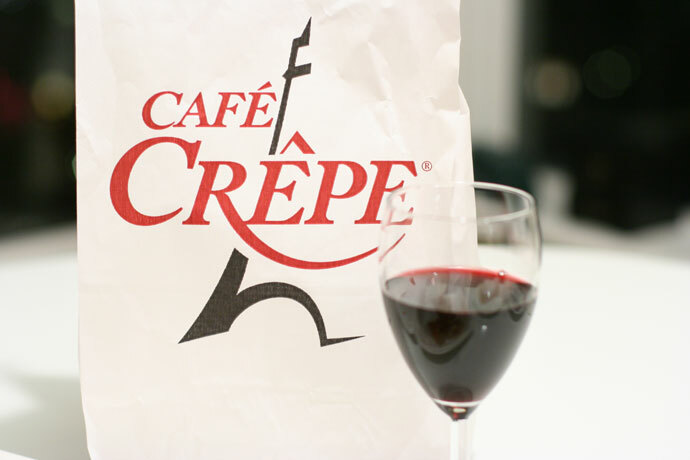 Cafe Crepe logo on a take-out bag with a glass of wine. Another photo of the crepe from Cafe Crepe restaurant in Vancouver, BC, Canada. 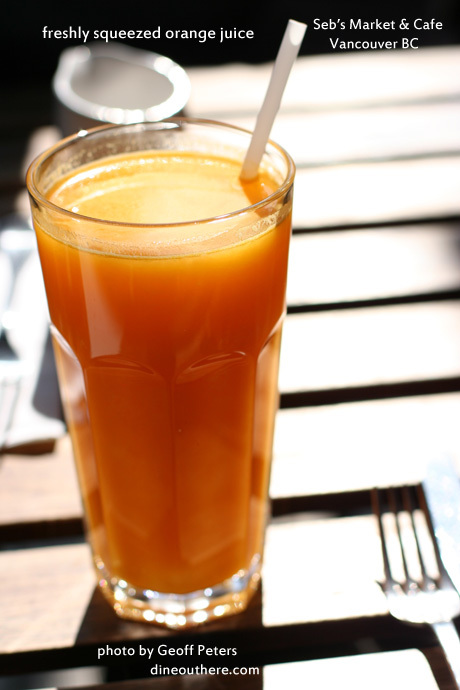 View More Restaurants in the Cafe category. 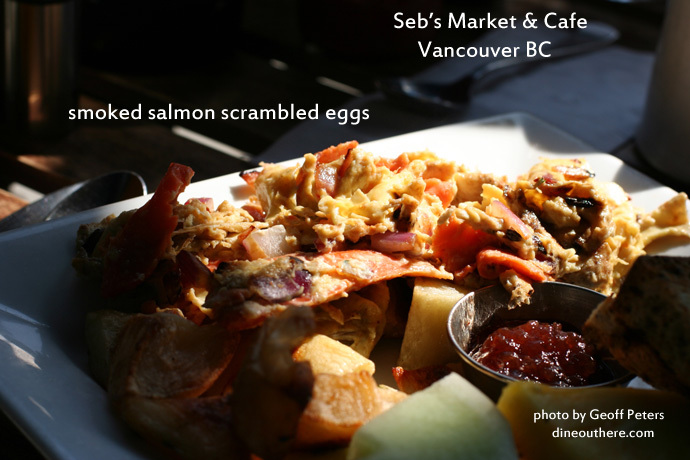 We hope you enjoy the great Cafe restaurants on Dine Out Here Vancouver.